Hello Reader and welcome to my blog. This blog wouldn’t have been possible if it hadn’t been for the help of my very good friend Cherry. 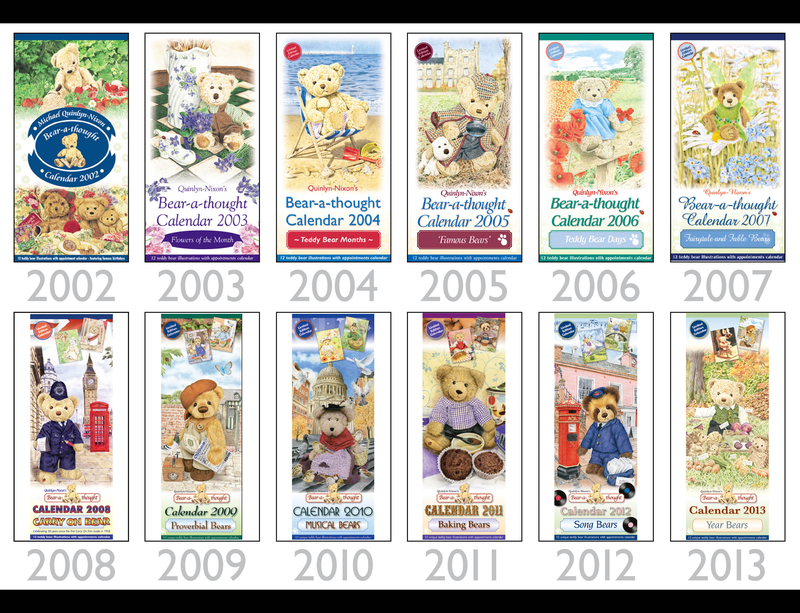 It’s hard to sum up the last twelve-years and all of the hard work and effort that went into creating the twelve Bear-a-thought calendars. I didn’t realise at the time of producing the first teddy bear calendar, in 2002, that it was the centenary of the teddy bear, since its creation in 1902. Now I reflect on it, it is a lovely and happy coincidence (if I believed in coincidences! ).